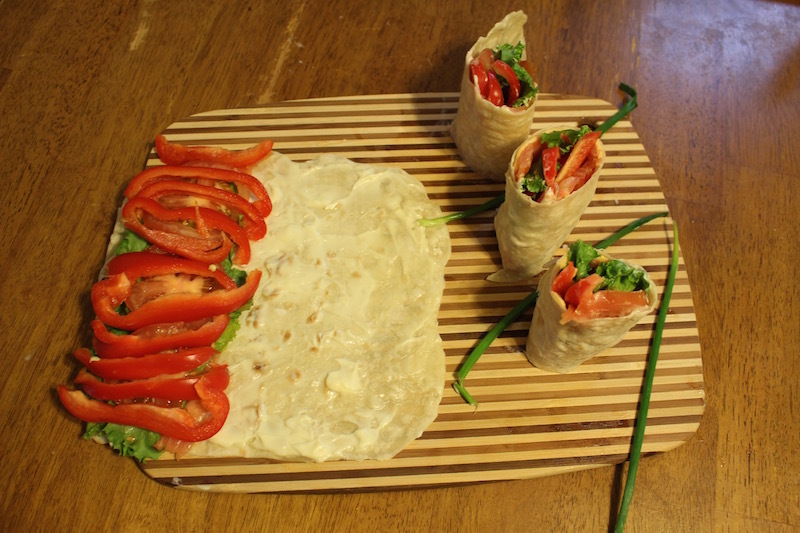 This is a classic homemade lavash (wrap) from Ukraine it includes tomatoes, sweet peppers, salad leaves and cheese. 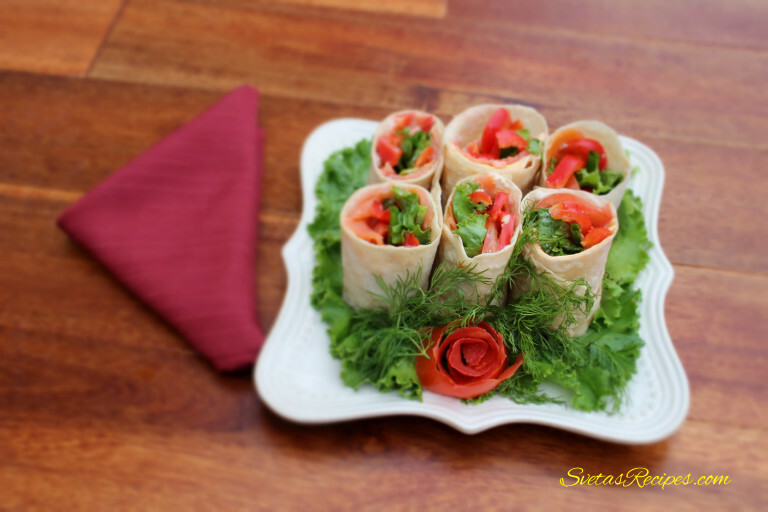 It a very good combination for a wrap and is very delicious. Ingredients: 1.) Wash and dry all vegetables. 2.) Slice tomatoes into thin slices. After cut pepper into length wise strips. 3.) 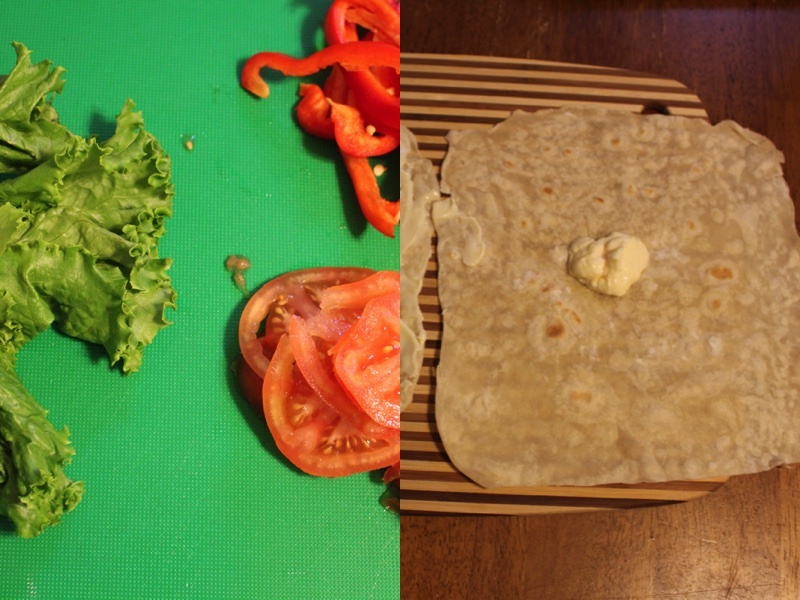 Add a drop of mayo onto each piece of wrap. Spread it on all of the wrap. 4.) First place the cheese, red salmon then salad leaves and tomatoes finally peppers. 5.) Roll it up into a roulette and enjoy! Slice tomatoes into thin slices. After cut pepper into length wise strips. 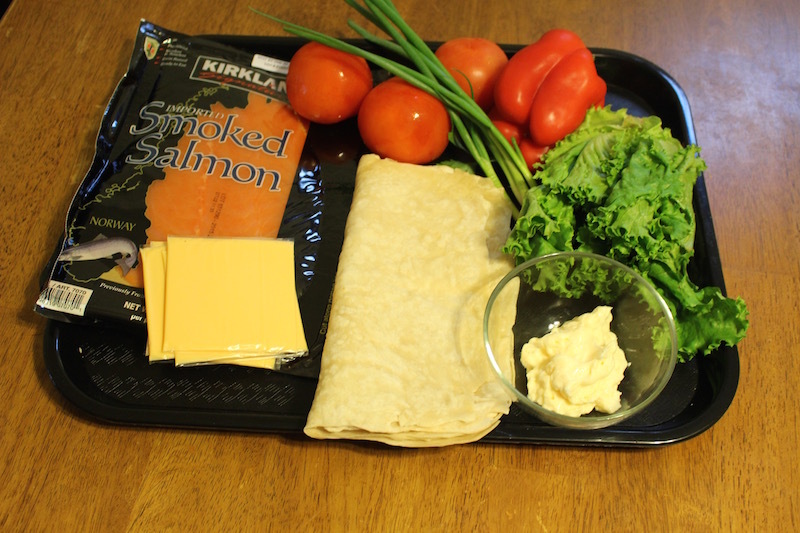 Add a drop of mayo onto each piece of wrap. Spread it on all of the wrap. First place the cheese, red salmon then salad leaves and tomatoes finally peppers. Roll it up into a roulette and enjoy!